David C. Knill, professor of brain and cognitive sciences, and associate director of the Center for Visual Science, passed away suddenly on October 6th at the age of 53. “He was a big part of the heart and soul of this department,” said Greg DeAngelis, George Eastman Professor and chair of BCS. Knill, who came to the University as an associate professor in 1999, was a leading scientist in the study of human perception. He also served as the associate director of the Center for Visual Science since 2001. 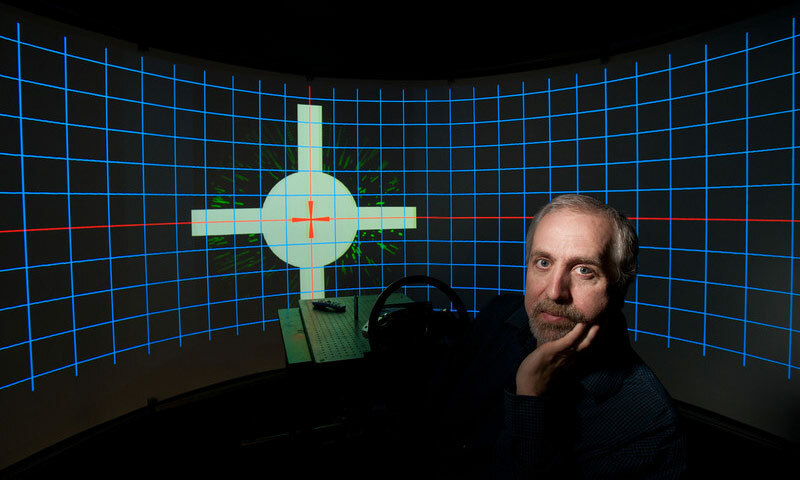 Most of his work, which included over 60 research and review articles, focused on visual perception and how humans use vision to guide physical actions. Knill was an international leader in the application of Bayesian statistics to the study of perception, said David Williams, Dean for Research in Arts, Sciences and Engineering, and Director of the Center for Visual Science. “Dave was really brilliant,” said DeAngelis, adding that Knill often came up with theories and models of how systems work that could explain a broad array of observations that had lingered in the literature for years, which before only seemed loosely connected and sometimes puzzling. In addition to Knill’s methodology and research, he is remembered as a man of strong moral principles. As associate director of the Center for Visual Science, Knill was “superlative” in his leadership of the center, and in organizing and implementing training programs for undergrads, graduates, and post-docs, Williams said. Knill received a bachelor of science degree from the University of Virginia, and a Ph.D. from Brown University. Prior to his work at the University of Rochester, Knill served as an assistant professor at the University of Pennsylvania, and as a post-doctoral associate and research associate at the University of Minnesota. Knill’s wife, Deborah Rossen-Knill, is an associate professor and director of the University’s Writing, Speaking, and Argument Program. Knill is survived by his wife and their sons, Ari and Joshua; his parents, Ronald and Barbara Knill; brother, Joseph (Kim) Knill; sister, Mary Knill (fiancé, Peter Jenssens); mother-in-law, Selma and Jack Rossen; brothers-in-law, Michael (Kate Troast) Rossen and Barry (Lisa) Rossen; several nieces, nephews, cousins, aunts, and uncles. The family will receive friends on Thursday, 1-4, 6-8 PM, at their home (111 Edgemoor Rd., Brighton), and Shiva will be observed on Friday, 2:30-5:30 PM, also at their home. A Funeral Service will be held Friday, 11:30 AM at the funeral chapel (2305 Monroe Ave.). Interment is at Mt. Hope Cemetery. In lieu of flowers, contributions in his memory may be made to Habitat for Humanity, 755 Culver Rd., Rochester, NY 14609.